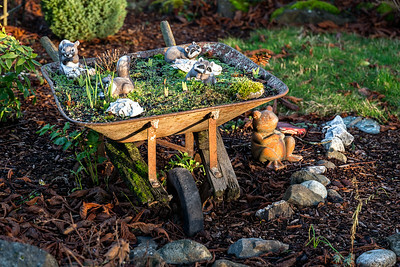 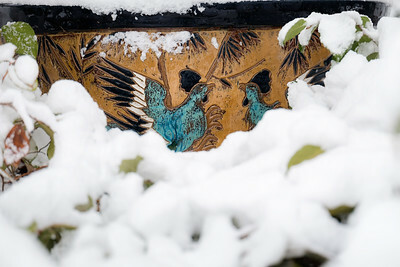 Squirrels and raccoons frolic in a wheelbarrow, West Seattle. 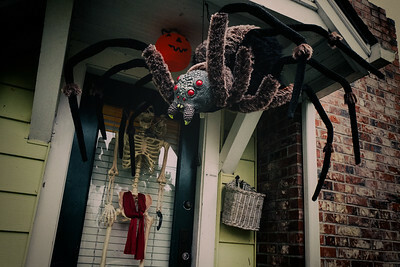 Giant Halloween spider hanging from the front porch of a West Seattle home. 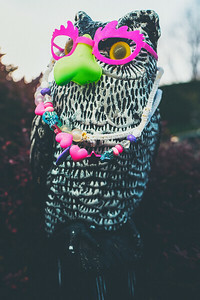 Decorated owl wearing Groucho Marx nose and glasses seen in West Seattle. 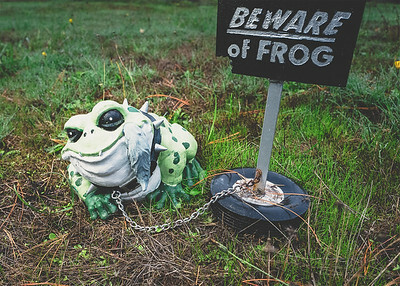 This chained up frog appears to have a cat tail hanging out of its mouth. 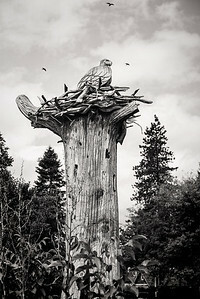 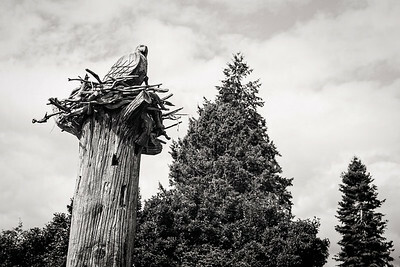 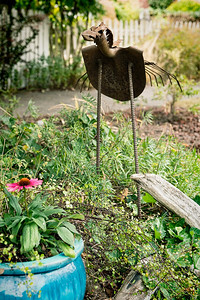 Seen in West Seattle. 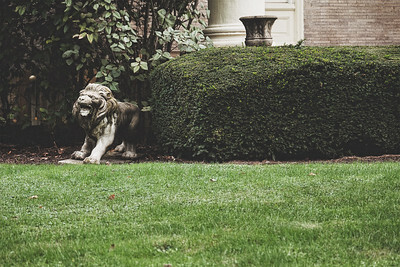 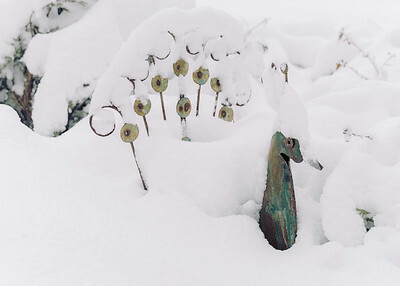 A small, roaring lion statue at the end of a hedge in Pittsburg. 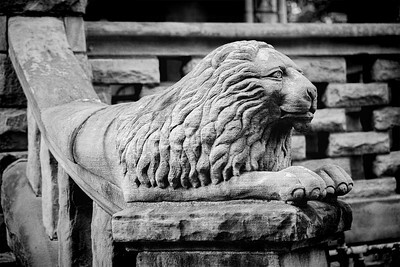 A content-looking, decorative concrete lion atop a step-railing in Pittsburg. 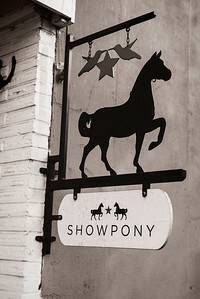 Show Pony retail sign with a star and birds, Freemont, Seattle. 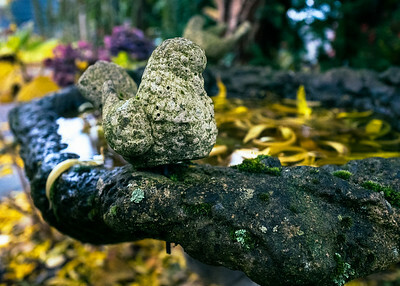 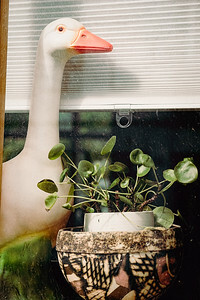 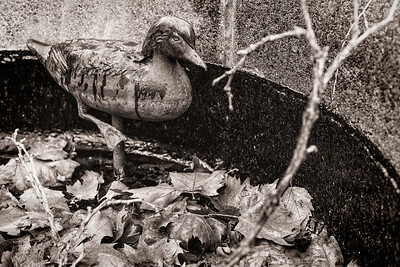 Duck display with fall leaves and a small branch inside a winterized water display, Portland, Oregon. 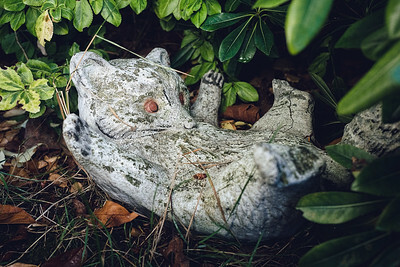 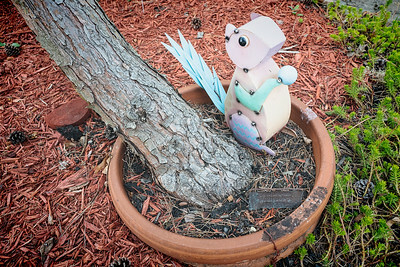 Ornamental raccoon underneath a bush in West Seattle. 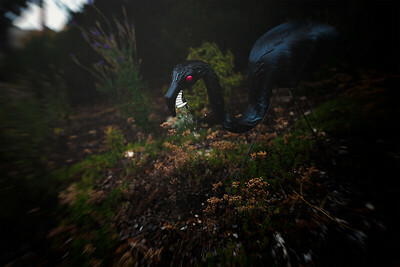 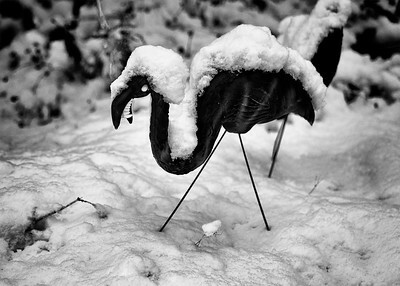 Halloween is approaching which is when evil black flamingos gather on neighborhood lawns, waiting to eat little children stuffed with candies. 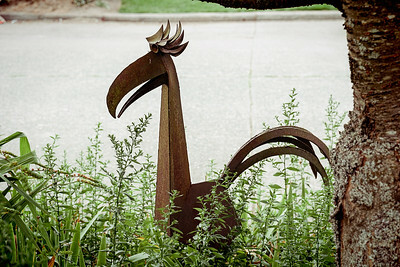 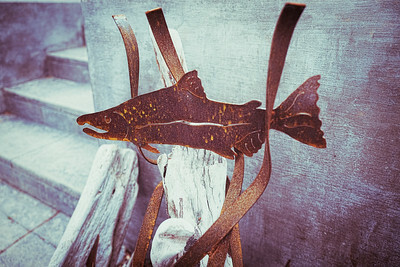 Rusty, metal salmon sculpture with wood. 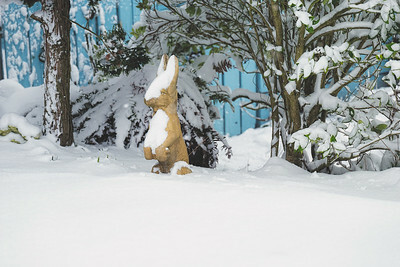 Seen in West Seattle. 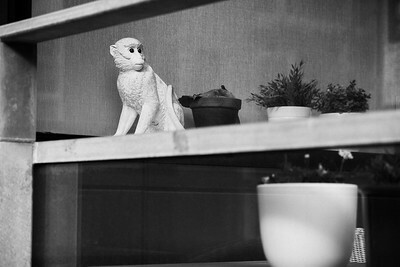 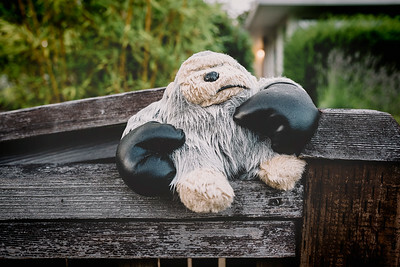 A rain-soaked, stuffed toy gorilla, wearing boxing gloves, sits on top of a wooden gate. 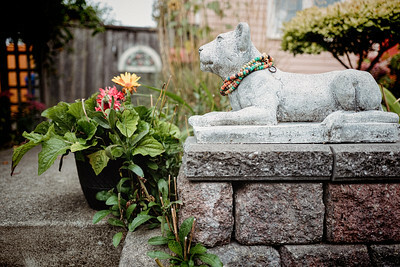 Seen in West Seattle. 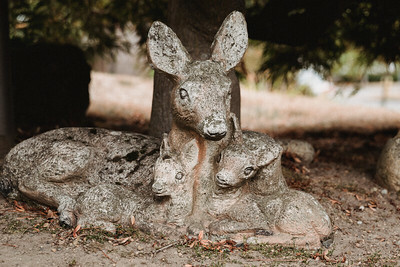 An ornament featuring a doe and two fawns lies under a tree in West Seattle. 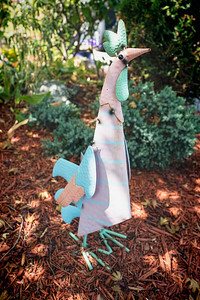 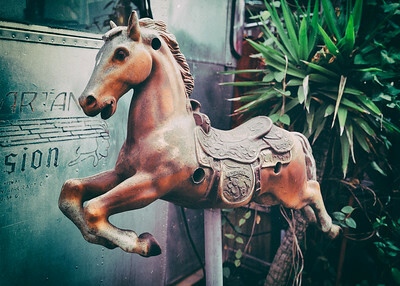 A former rocking horse now mounted on a pole in Georgetown. 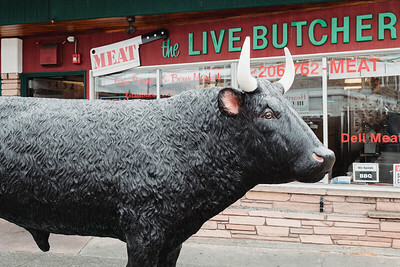 A life-size bull calls attention to Meat the Live Butcher ™ in White Center, Washington. 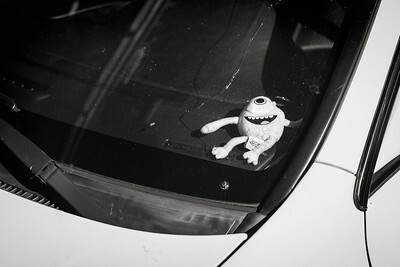 A stuffed Mike Wazowski on a car dashboard. 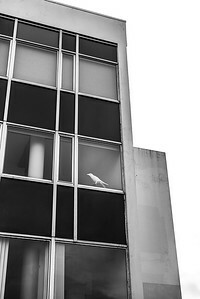 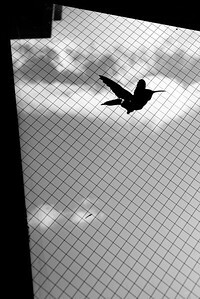 Hummingbird sticker on a window in Seattle. 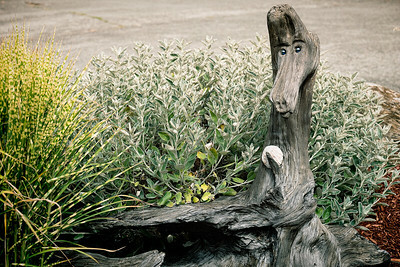 A piece of driftwood with glass eyes and a small flipper of sorts, holding a shell. 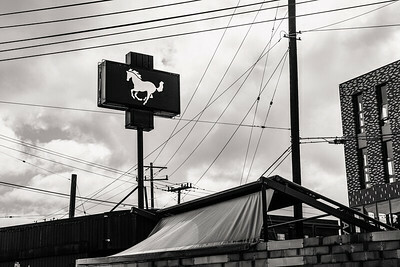 Seen in West Seattle. 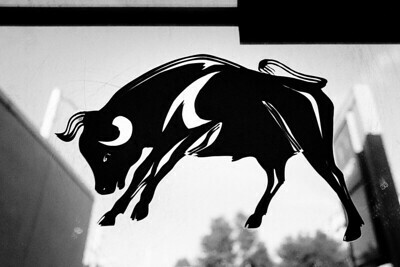 Bull on a glass door in West Seattle.